You almost expected the word BOOM! like in the comic books. Angel Lopez (Astana) lived up to his Superman nickname and took over the Volta a Catalunya on the slopes of La Molina. The Colombian was bold and frisky, attacking his GC rivals a full 8.4 kilometers before the finish. That first attack was brought back by Bernal and Yates but the second attack at 6.7 kilometers would prove deadly. 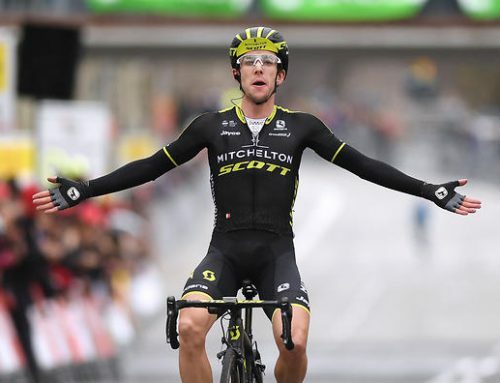 It was a brutal acceleration that caught Adam Yates (Mitchelton-Scott), Egan Bernal (Team Sky) and Nairo Quintana (Movistar) a bit off guard. A gap ripped opened and four top climbers made the fatal hesitation. 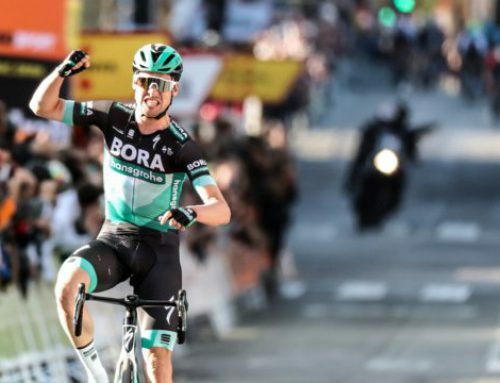 “López attacked very hard, he was going really fast and he made full use that point when the rest of us were all looking at each other and it worked out very well for him,” said Quintana. With the leaders jersey of the Volta a Cantalunya at stake, the chase was on. 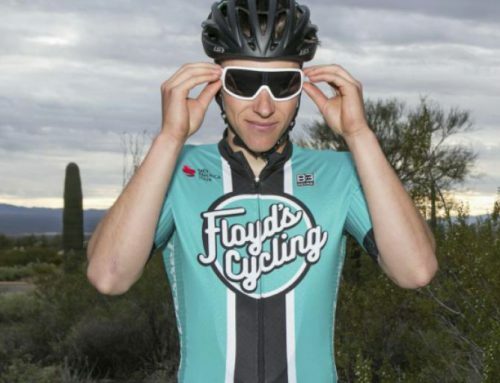 Adam Yates’s brother Simon bridged up to help raise the speed. It was an odd visual, the twins a double image, both pedaling in the exact same style. Meanwhile Lopez tracked down the two men in the breakaway, Gregor Mühlberger (Bora-Hansgrohe) and Marc Soler (Movistar). They clung to his wheel as Lopez kept powering up the mountain. As tong as Yates looked on Vallter 2000 yesterday, Lopez looked stronger today. Yates and Bernal attempted to work together on the descent before the final pitch. They cut the gap to about 10 seconds before it went back out to 20. Nairo Quintana simply didn’t have the legs to make an impression. He began the day not far from the podium and he’s finish that way. Mühlberger turned himself inside out to say with Lopez but in the final 600 meters, as the road curved uphill, Lopez left him behind and took the win in solo style. 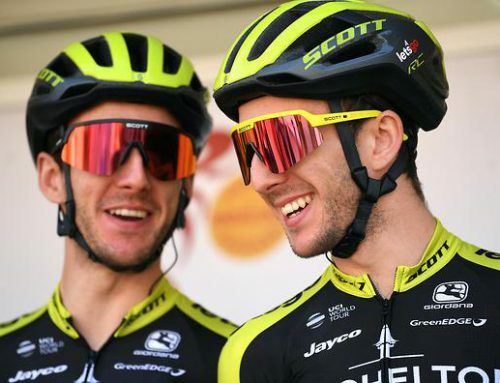 Yates wasn’t around for comment after the stage but Mitchelton-Scott sports director Julian Dean provided the assessment. “It’s always tricky in those situations. 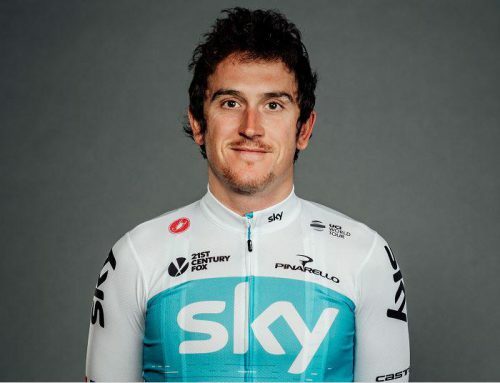 I thought it was a very brave move by Lopez and you have to give him full credit, we saw that Bernal was quite aggressive yesterday and we didn’t see that so much today,” said Dean. Basically, Yates was strong but Lopez was stronger. Because that’s what Superman does.